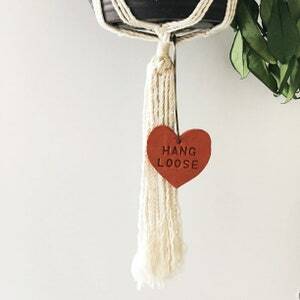 If you don’t have any hanging plants, these hooks have also been designed to hang from the side of most standard pots. 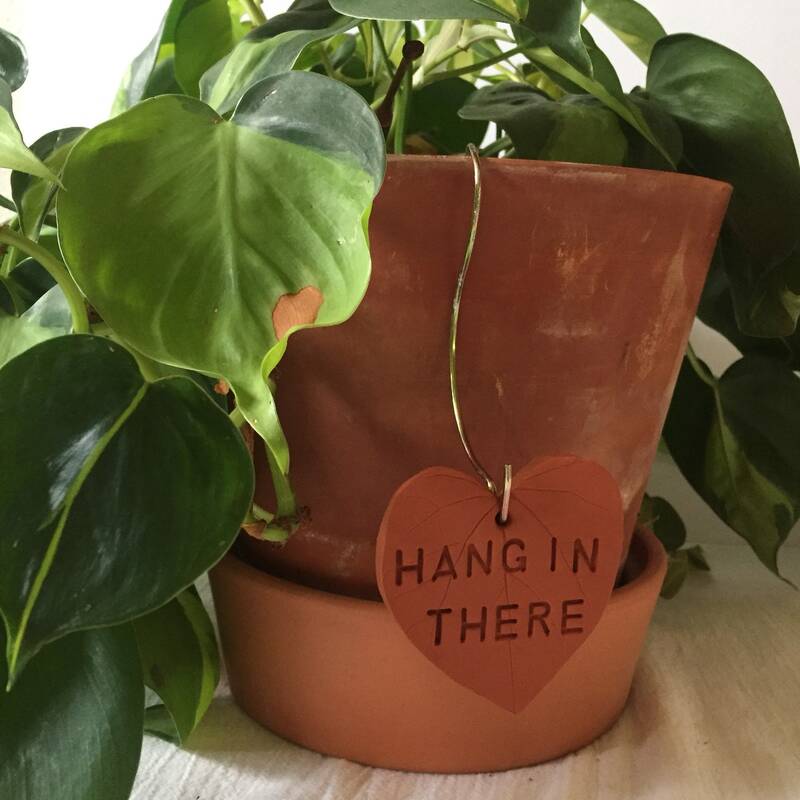 Simply hang from the top edge of the pot as shown in the photo! 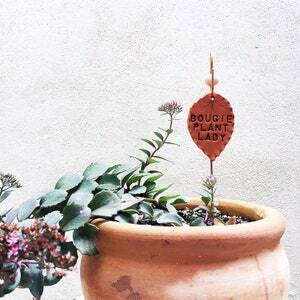 These plant stakes were made by hand pressing real Redbud leaves harvested from my personal collection or the wild into polymer clay. 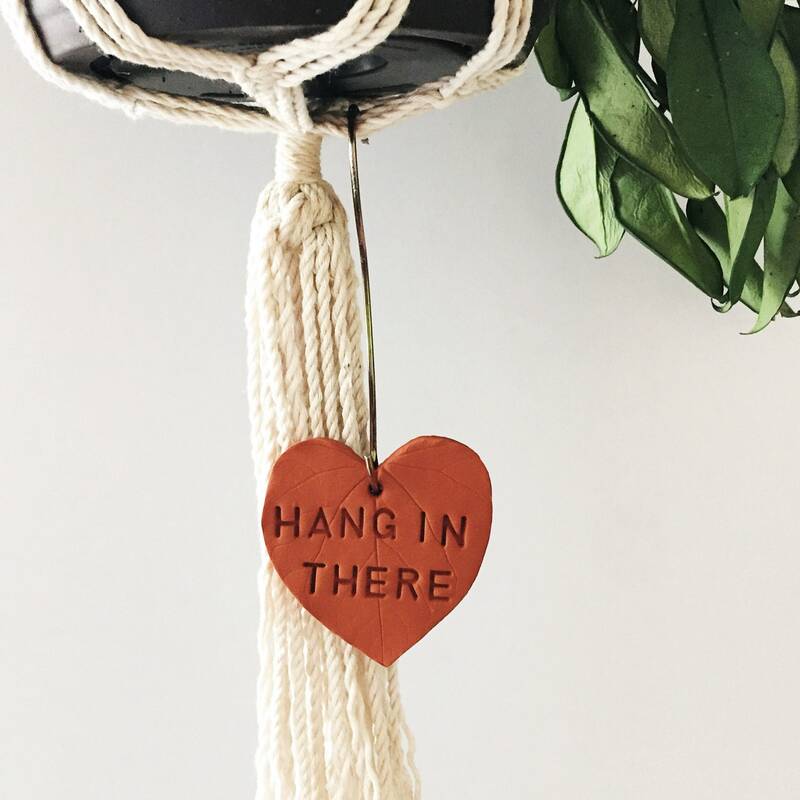 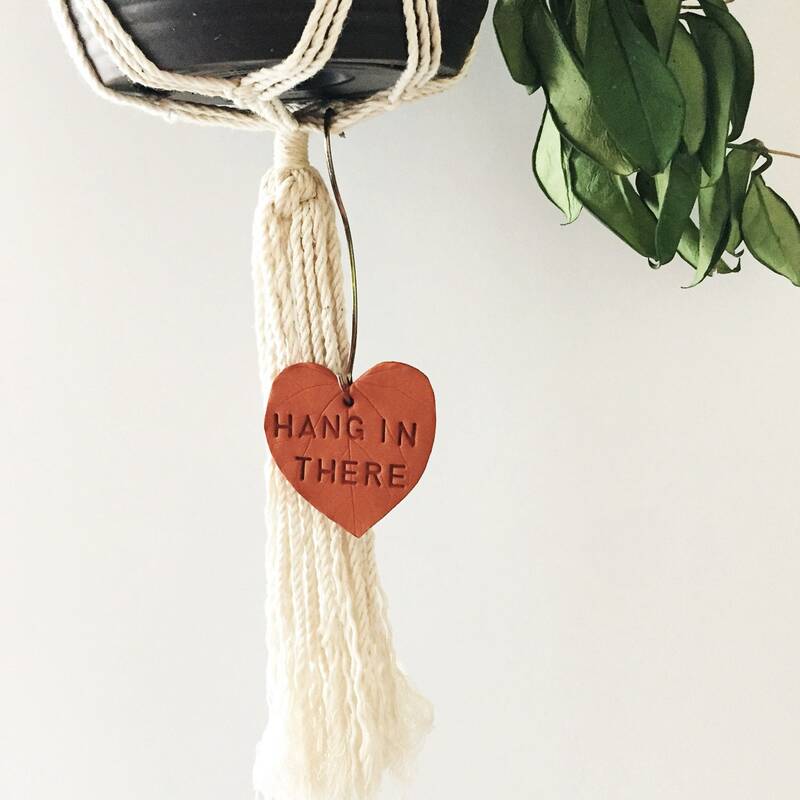 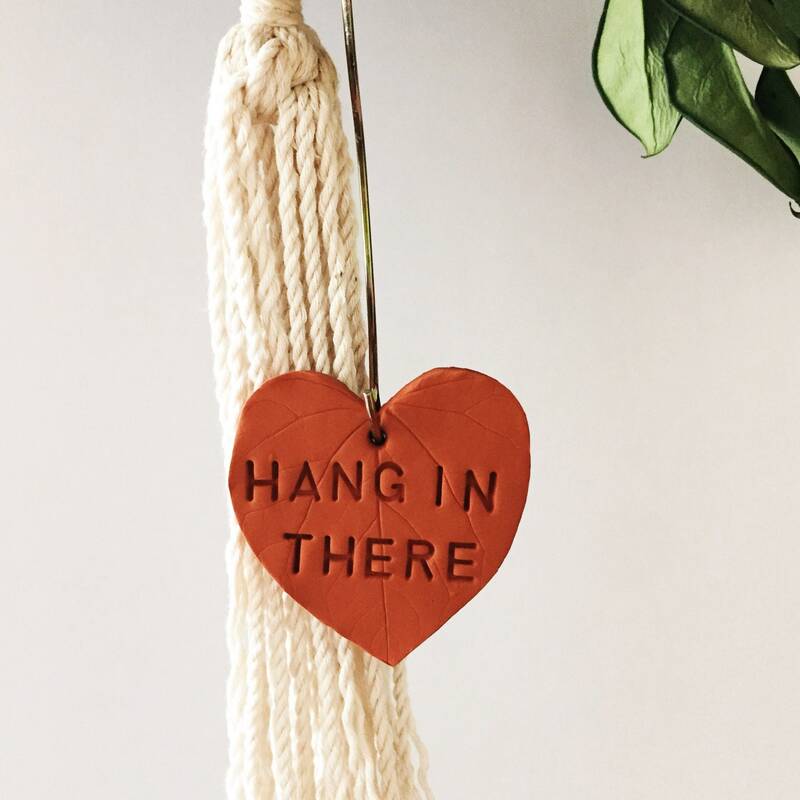 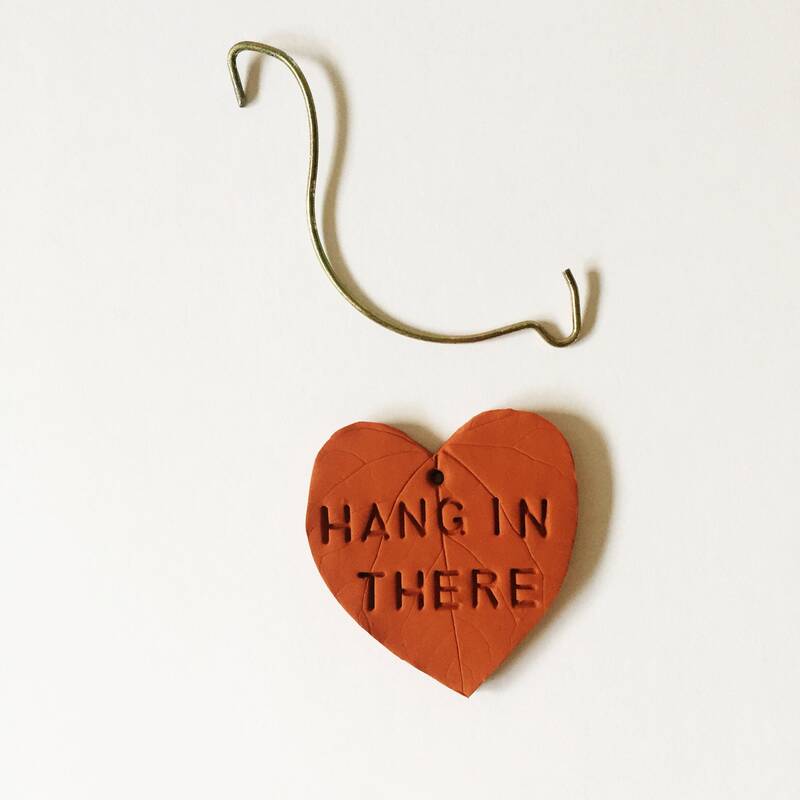 “HANG IN THERE” is hand-stamped into the clay. 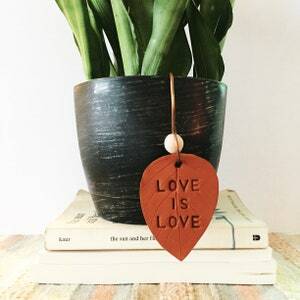 pressing Redbud tree leaves. 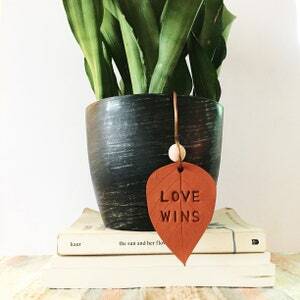 In the case that those leaves are no longer available (depending on season and other environmental factors) I may need to adjust the type of leaf used.Your personal leaf may vary but I promise it will have this special message and all other specifications named above!